Over the past few months we’ve been helping a global architecture firm put together pitches for several multi-million dollar opportunities. It’s been a great experience, and learning opportunity, to apply the power of storytelling to pitching big ideas. The value of using storytelling in sales situations is evident but it really works well when the stakes are high, such as in pitches of this magnitude. Here are some of the things we’ve learned. 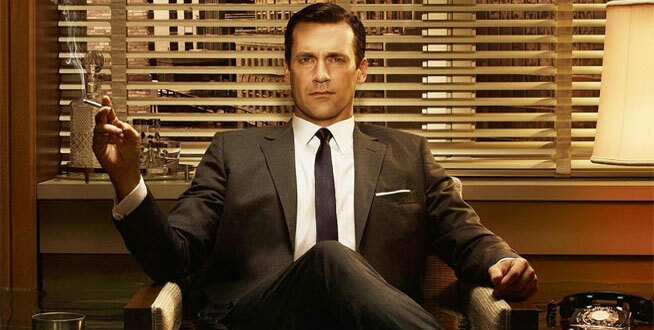 You might not end up pitching like Don Draper from the TV series Mad Men but it might make a difference. It helps if each person in the pitch team can weave into what they say, a small connection story that demonstrates who they are and why they care about the client outcomes. One example was in relation to a pitch for a University campus. The designer had caught a taxi to deliver their proposal for the design competition. He delivered it and was walking back to the taxi when he stopped to admire the campus. “I was really taken by the beauty of the campus and the unique opportunity it provides for a really world class learning environment. I told the taxi to leave and spent the next three hours wandering the grounds, captivated by the opportunity it presented”. Blaise Pascal wrote “I’ve written you a long letter because I didn’t have time to write you a short one”. It’s not just lack of preparation time that results in long-winded pitches, it’s also an over-abundance of details. Experts find it almost irresistible when pitching to dive into what they believe are essential details. But without the big picture, most of the details are lost on the audience. We’ve found that using a simple narrative structure really helps the pitching team understand the essence of their pitch and provide a framework that helps the audience understand the details. It also reveals that many of the details initially considered as essential have no place at all. Start practising the pitch very early in the process. Yes, the first time it’s pretty awful, but it improves dramatically and rapidly. Don’t spend too much time worrying about getting the pitch right on paper…focus much more on practising it. One of the outcomes of our involvement has been the confidence of the pitch team in what they are delivering. The feedback has been that whatever the outcome, the pitch has strengthened their case.